The groundhog or Marmota monax, also known as a woodchuck, whistling pig, or land-beaver in some areas, is a member of the squirrel family. It is widely distributed in North America and common in the northeastern and central United States and Canada. Groundhogs are covered with two furry coats, a dense grey colored undercoat and a than longer banded guard hairs giving it a “frosted” appearance, a typical adult measures 16 to 26 in long including the tail and weighs in at about 4 to 9 lbs. 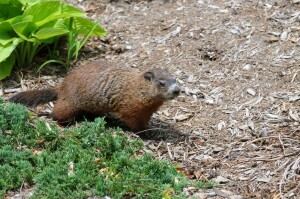 Groundhogs are well adapted for digging, with short but powerful limbs and curved, thick claws. 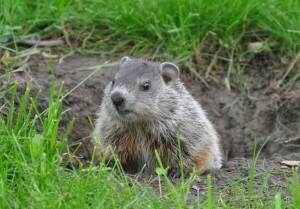 According to wikipedia, a single groundhog can move around 35 cu ft or 5,500 lbs, of soil when digging a burrow. 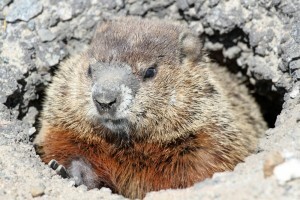 Groundhog burrows usually have two to five entrances, providing their primary means of escape from predators. 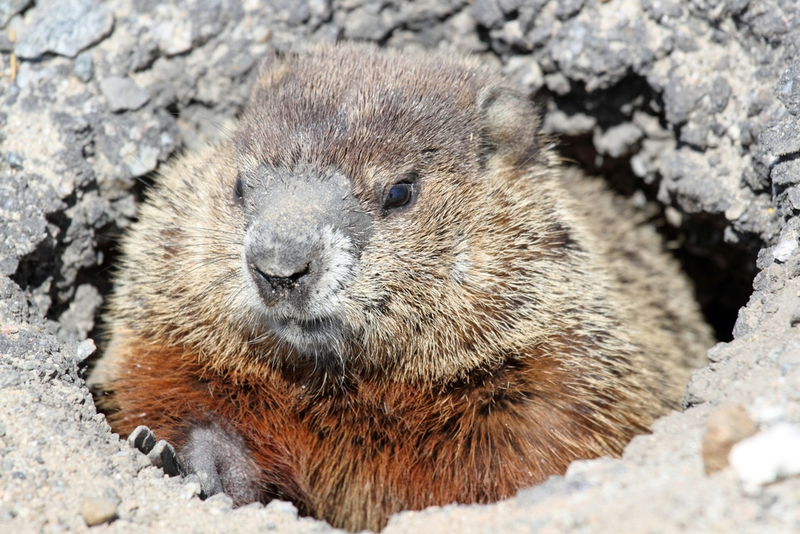 Groundhog Burrows are particularly large, with up to 46 ft of tunnels buried up to 5 ft underground, and can pose a serious threat to agricultural and residential development by damaging farm machinery and even undermining building foundations. Mostly herbivorous, groundhogs diet consists primarily on wild grasses such as clover, common garden vegetables like strawberries and peas, leaves, twigs, common garden flowers like pansies and impatiens as well as grubs, grasshoppers, insects and snails. Like squirrels, they also have been observed sitting up eating nuts such as shagbark hickory, but unlike squirrels, do not bury them for future use. 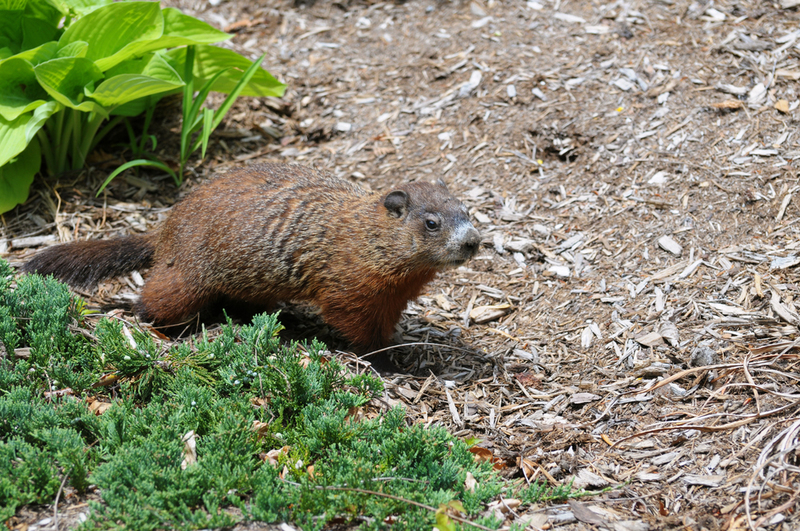 If you are experiencing a problem with groundhogs, our technicians at Wildlife Command Center are groundhog removal experts. We can safely and humanely remove and relocate the groundhog and any family members it may have, we can perform any necessary repairs and install exclusion methods to prevent groundhogs from making your yard their home in the future.